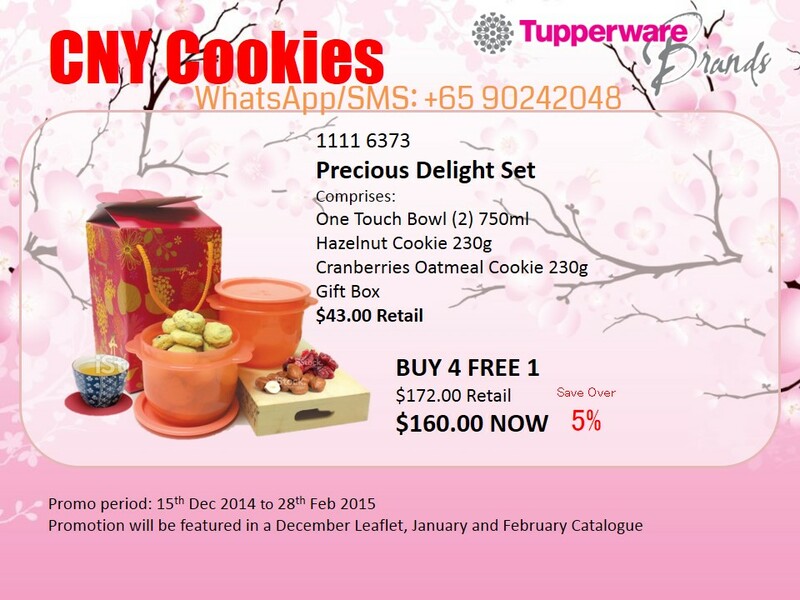 Tupperware Chinese New Year Cookies Gift Set 2016 is now available! $43 per set. 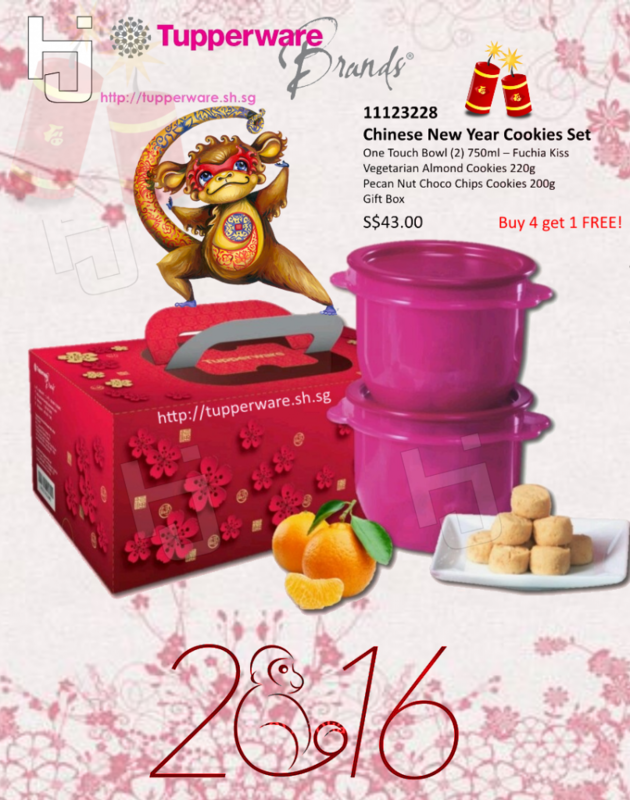 Buy 4 get 1 Free (Tentatively till 31 December 2015)! Good news! Buy 4 get 1 free extended to the month of January 2016!